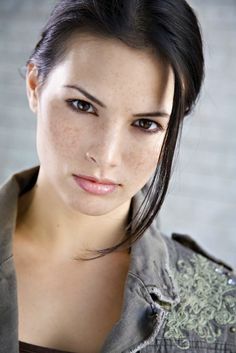 Katrina Law is an American actress of film and television. She is best known for television roles as Mira in the Starz television series, Spartacus: Blood and Sand and Spartacus: Vengeance, Nyssa al Ghul on The CW television series, Arrow and Karen Beach on the Sony Crackle series The Oath. She also played Detective Rebecca Lee in the crime-thriller television series, Training Day, and starred in the television series Legends of Tomorrow (2016). She has also appeared in such films as 3 Minutes, Death Valley, Checkmate and Darkness Rising. Born on September 30, 1985, in Philadelphia, she was raised in Deptford Township, New Jersey. She is of German and Italian descent on her father’s side, and of Taiwanese descent on her mother’s side. She attended and graduated from The Richard Stockton College with a Theater degree. On January 5 2013, she married fellow actor Keith Andreen. *She was born in Philadelphia and raised in South Jersey. *Her father served in the Vietnam War, and her ancestry includes German, Italian, and Taiwanese. *Her father is a Catholic, and her mother is a Buddhist. *She was crowned Miss New Jersey Teen USA. *She has a black belt in Taekwondo. *She is a cat lover.